Houston is the largest city in Texas. As of 2005, it had an estimated population of 2,016,582. Furthermore, the city of Houston lies within, and is part of, the Houston�Sugar Land�Baytown metropolitan area, which is the 6th most populous metropolitan area in the United States, and is home to about 5 million people. Houston was originally founded in 1836, and incorporated in 1837, by brothers, Augustus Chapman Allen and John Kirby Allen. The city is named after Sam Houston, who, at the time, was the President of the Republic of Texas. Sam Houston had previously commanded at the Battle of San Jacinto, in 1836 during the Texas revolution, the battle having taken place 25 miles (40 kilometers) to the East of the city's location. Probably the most famous educational institution in Houston is William Marsh Rice University. William Marsh Rice University is a private comprehensive research university that is particularly known for its strength in applied sciences. Professional sports teams in Houston include the American football team, the Houston Texans, the baseball team, the Houston Astros, the basketball team, the Houston Rockets, the ice hockey team, the Houston Aeros, and the soccer team, Houston Dynamo. Of all the cities in the United States, only New York City is home to more Fortune 500 headquarters than Houston. Some of the leading companies that have based their headquarters in Houston include ConocoPhillips, Continental Airlines, Halliburton, Lyondell Chemical, Marathon Oil and Sysco. The principal airport serving Houston is George Bush Intercontinental Airport. Houston's nicknames include "Bayou City", "Capital of the Sunbelt", "City of Syrup", "Clutch City", "Golden Buckle on the Sun Belt", "H-Town", "Hustle Town", "Magnolia City", "Oil Capital of the World", "Screwston", "Space City", "Syrup City", "The Big Heart", and "The Energy Capital of the World". This isn’t a book; it’s a lifestyle. And you can be a part of it starting right now. This second edition of 100 Things to Do in Houston Before You Die lays out all of the cool stuff you could be doing in H-Town today—from savoring BBQ at Killen’s and catching a Summer Chills showing at the Alley Theatre to upscale shopping at the River Oaks District or maybe catching an old fashioned drive-in movie at the Showboat Drive-In, these are the things you can’t do anywhere else. Just pick up a copy of this book and keep it handy. When you feel like spicing up your week, flip to a random section. Shouting “Let’s Go Dynamo” at BBVA Compass Stadium. Spending a cozy night at Marfreless. 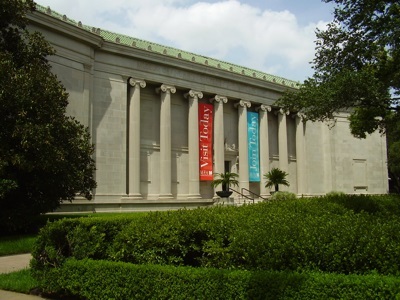 Maybe catching up with a friend over Thursday night happy hour at the Museum of Fine Arts Houston. Voila: instant plans. How easy is that?Don’t be the kind of Houstonian who only goes out when entertaining people from out of town. It’s important to go and do cool things for yourself, for no particular reason. And this is your go-to guide. It’s Time to Take a Hike in Texas! The best way to experience Houston is by hiking it. 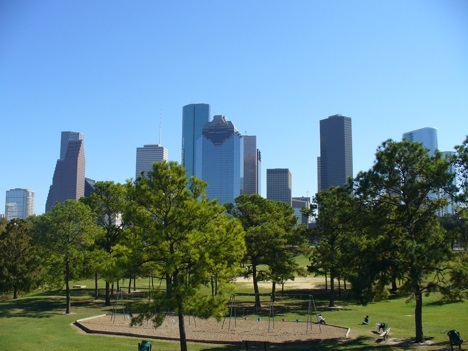 Explore Buffalo Bayou Park, one of the top urban parks in the country. Nature-watch at the San Bernard National Wildlife Refuge, or challenge yourself with a long hike on the Lone Star Hiking Trail. Local author and hiking expert Laurie Roddy has selected the best hikes within a 60-mile radius of the city. This perfect blend of popular trails and hidden gems transports you to scenic overlooks, wildlife hot spots, and historical settings that renew your spirit and recharge your body. With Roddy as your guide, you’ll learn about the area and experience nature through 60 of its best hikes. The author provides expert tips about where to go and what to expect when you get there. Plus, each hike description features key at-a-glance information on distance & configuration, hiking time, difficulty, scenery, traffic, trail surface, and accessibility, as well as details about the history and natural history of the area. GPS-based trail maps and elevation profiles, along with clear directions to the trailheads, help to ensure that you always know where you are and where you’re going. Named after the hero of the Battle of San Jacinto, Sam Houston, the settlement on Buffalo Bayou was a cattle town until oil was discovered in 1901. Ambitious adventurers from around the globe sought their fortune here and by 1929, forty oil companies had offices in Houston. Today, Houston’s entrepreneurial spirit remains, fueling one of the world’s leading corporate and cultural engines. 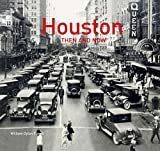 Houston Then and Now takes archive photos from the city’s rich history and compares them with the same viewpoint today to show the dramatic transformation of the city, including the effects of Hurricane Harvey. From the legendary, fear-inspiring western diamond-backed rattlesnake to the tiny, harmless plains blind snake, Texas has a greater diversity of snake species than any other state in the country. This fully illustrated field guide to Texas snakes, written by two of the state's most respected herpetologists, gives you the most current and complete information to identify and understand all 110 species and subspecies. Drawn from the authors' monumental, definitive Texas Snakes: Identification, Distribution, and Natural History , this field guide is your must-have source for identifying any snake you see in Texas. You can't make this stuff up. Actually you can... But here in Texas, you don't have to! Not only does Tui Snider explain the stories behind these offbeat & overlooked sites, but she also gives directions to a bunch of quirky Texas places, including the: * Gravesite of an Alleged Space Alien * Courthouse Displaying a Dead Lizard * Statue of Jesus Wearing Cowboy Boots * Rope used to Lynch "Santa Claus" * Building Made Entirely of Salt * Wax Replica of Da Vinci’s Last Supper * 65 foot tall Eiffel Tower Replica * Petrified Wood Motel & Cafe * World's Smallest Skyscraper * Only Michelangelo Painting in America ... and much more!